Chilmark voters will decide at a special town meeting whether to support restructuring the Martha's Vineyard Refuse Disposal and Resource Recovery District. Chilmark voters will decide at a special town meeting Monday whether to support a major restructuring of the Martha’s Vineyard Refuse Disposal and Resource Recovery District. The regional refuse district is seeking up to $2.5 million from member towns to expand its transfer station in Edgartown. The special town meeting begins at 7:30 p.m. Monday at the Chilmark Community Center. Longtime moderator Everett Poole will preside over the session. There are 10 articles on the warrant. The expanded refuse district would include a separate drop-off facility for residential trash and recycling, a new road for residential traffic, and a second garbage scale for pickup trucks and commercial use. The four-town district serves Chilmark, West Tisbury, Aquinnah and Edgartown. In September the selectmen asked the district to come up with a tighter budget. The new budget includes a reduced contingency fund and a second garbage scale at a cost of $144,000. 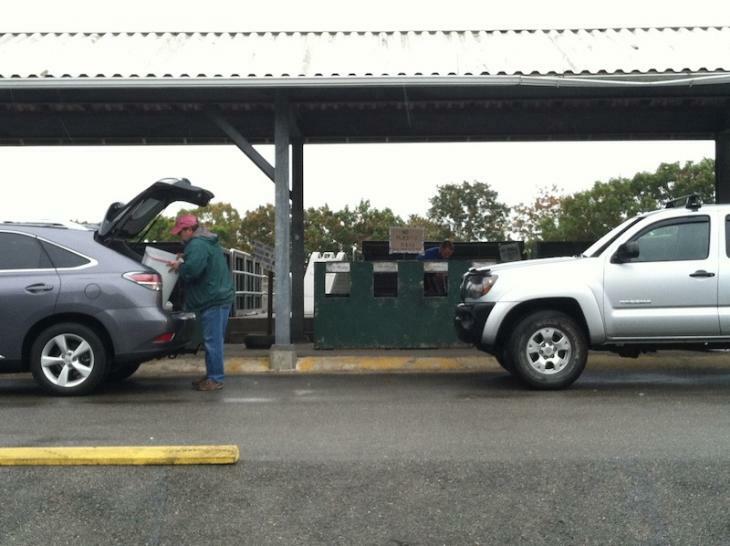 Based on how much each town uses the transfer station, Chilmark would contribute 12 per cent of the total cost of the project, or up to $300,000. Voters will also decide whether to spend $65,000 in Community Preservation Act funds on the renovation of the south facade of the original town hall building. Town custodian Rodney Bunker said this summer that the project would cost about $90,000, much of it for lead paint removal. The town historical commission has endorsed the project. James Malkin, chairman of the town committee on Squibnocket, will provide an update on the committee’s work since June to gather facts and public comment related to the restoration of Squibnocket Beach. A town-owned parking lot at the beach and the only access road to the homes at Squibnocket Farm are threatened by erosion. The issue has been divisive. At the annual town meeting in April, voters narrowly rejected a proposal developed by the selectmen and the Squibnocket Farm Homeowners Association to build a raised causeway, relocate the parking lot and significantly add to the town’s beach holdings. Voters decided instead to have Mr. Poole appoint a committee to study alternatives. He said Mr. Poole will decide whether voters will be allowed to ask questions at the meeting. • Appropriate $9,556 for the purchase of software licenses and computer hardware for town hall. • Spend $4,600 from available funds on large diameter hose fittings for the town’s new fire tanker. • Approve $17,000 for brush cutting; and $13,260 for tree cutting along town roads.